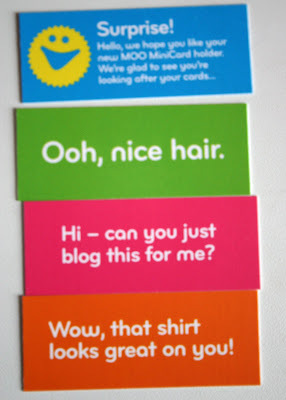 moo cards = SO much fun! Über psyched. Even though my handmade ones have been quite the party favour. 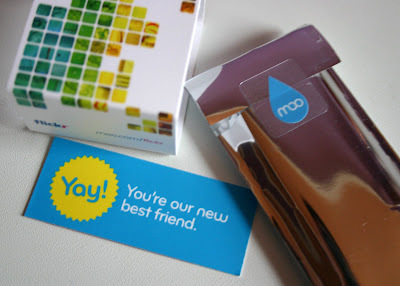 To see my actual Moo card: you have to find me and ask for one! They’re fab – or better yet, make your own (and get one of mine too!). Also, if you haven’t bumped into them yet and you’re a flickr user/fan, check out fd flickr toys, by Big Huge Labs. 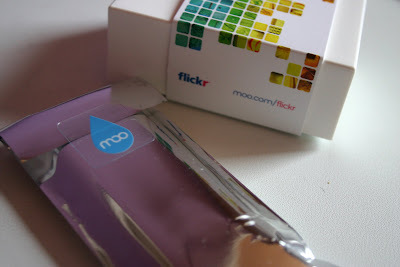 So much cool stuff to do with your pics – whether or not they are on flickr!